These icons were created for a website that never launched. 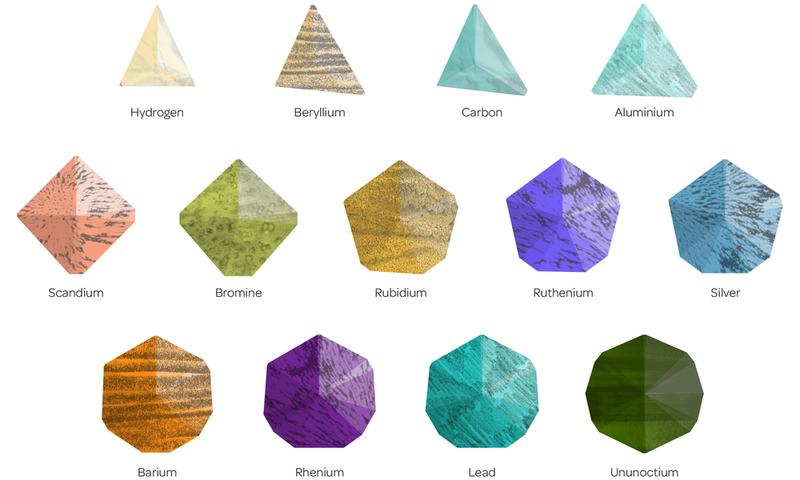 I was asked to create a unique icon for each chemical element that stayed away from a scientific diagram aesthetic to appeal to users who might feel alienated by science graphics. To achieve this, I used handmade textures and 3D shapes to allude to the physicality of the elements that shape the world we live in. The design of the element icons is informed by the structure of the periodic table and each element's unique data. The shape of each icon is determined by the distribution of the element's electrons across its electron shells. An element with less electron shells has less sides, whereas an element with more electron shells has more sides. 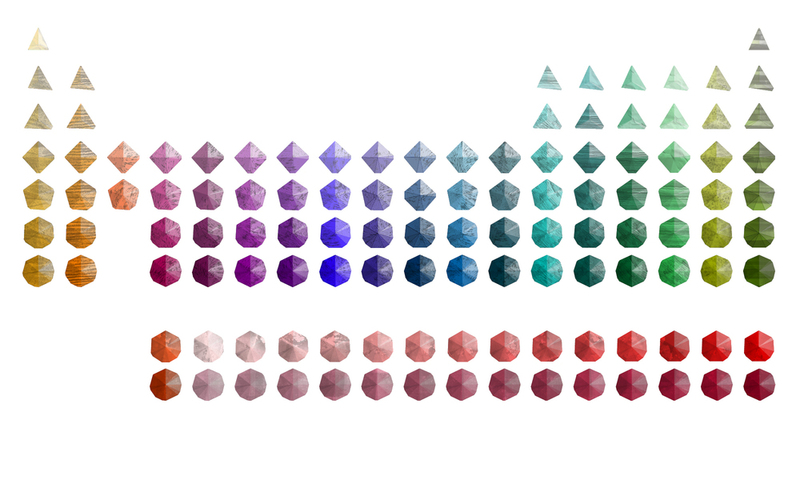 The icons are coloured according to the element's group within the periodic table and its weight: the heavier the element, the more intense the colour. 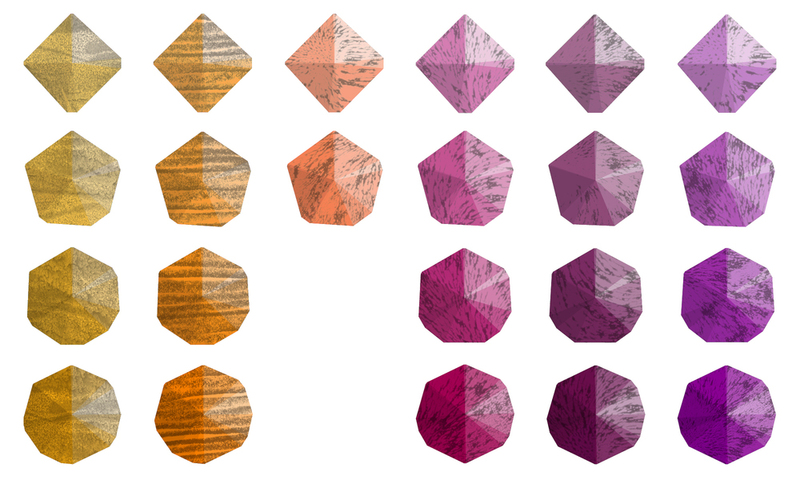 Finally, handmade textures indicate which periodic table series (alkali metals, metalloids, noble gases, etc.) the element is associated with.